In a mountainous region in the heart of Ethiopia, some 645 km from Addis Ababa, eleven medieval monolithic churches were carved out of the rock. 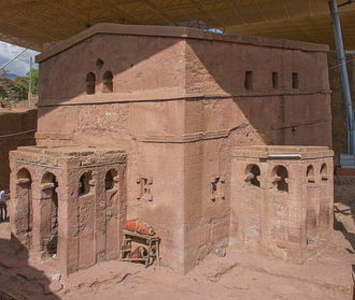 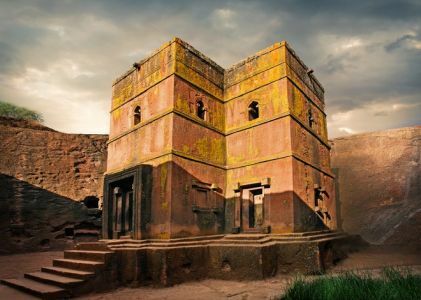 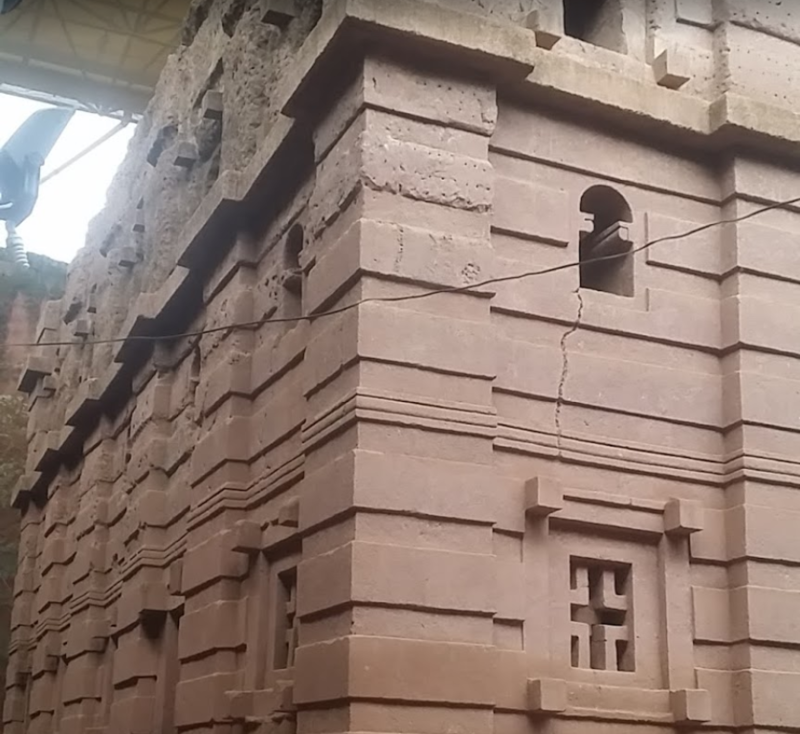 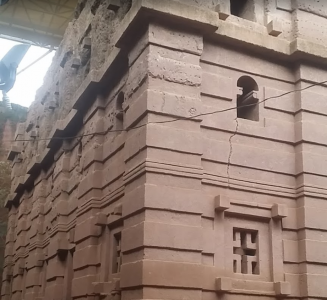 Their building is attributed to King Lalibela who set out to construct in the 12th century a ‘New Jerusalem’ after Muslim conquests halted Christian pilgrimages to the Holy Land. Lalibela flourished after the decline of the Aksum Empire. 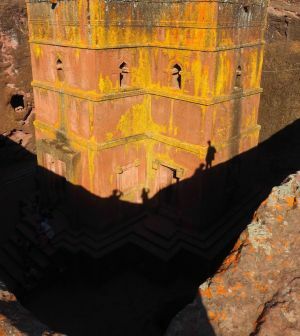 The town of Lalibela is worthy of far more international attention than it gets—it deserves to top our bucket lists and grace our travel magazine covers. 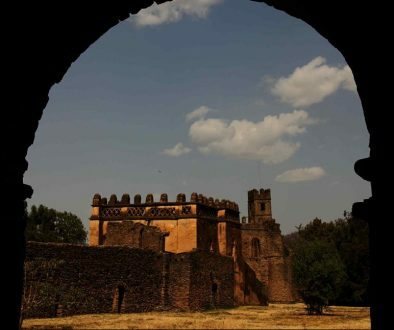 Yet part of its charm lies in its mystifying lack of foreign visitors. 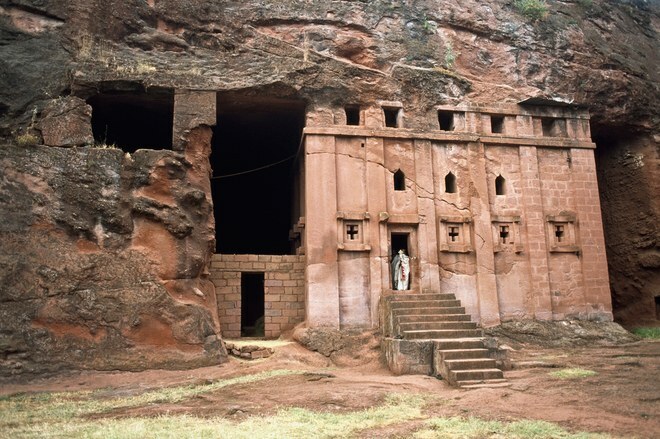 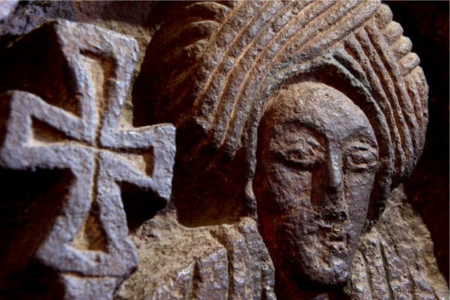 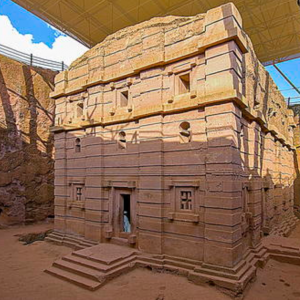 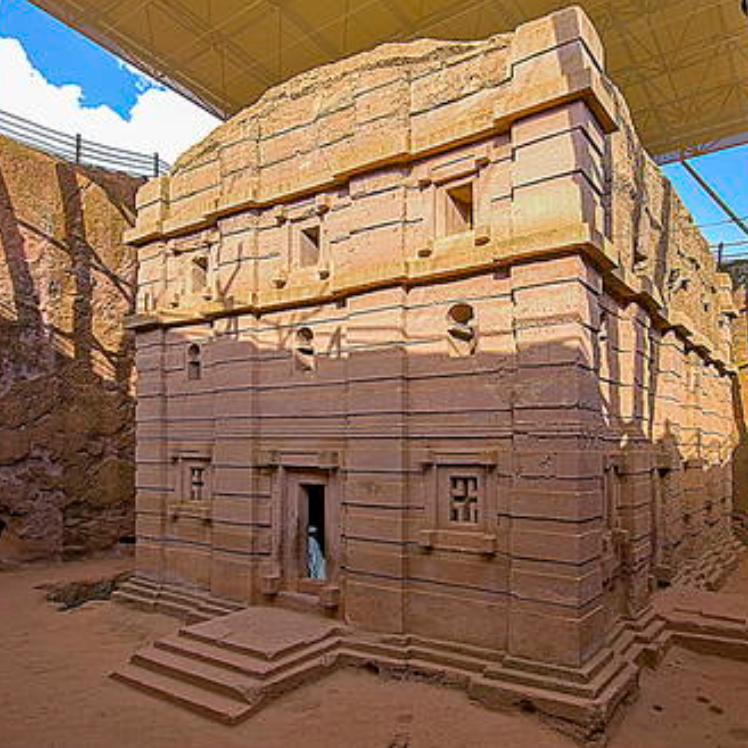 The 11 medieval monolithic cave churches of this 13th-century ‘New Jerusalem’ are situated in a mountainous region in the heart of Ethiopia near a traditional village with circular-shaped dwellings. 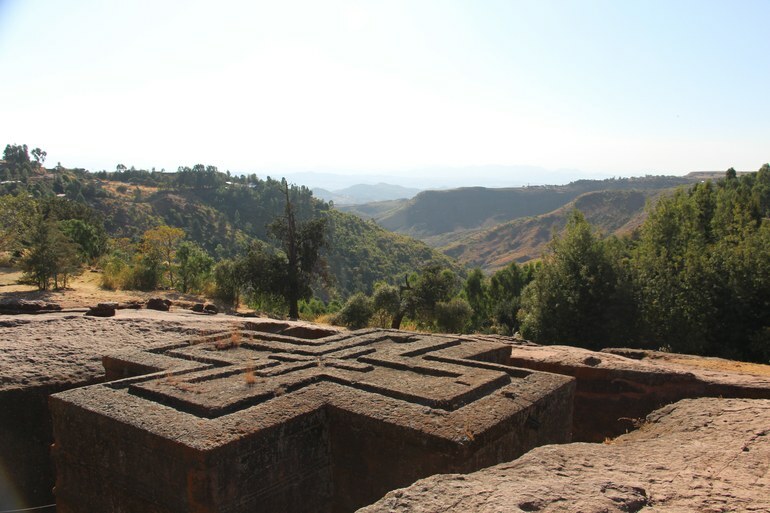 Lalibela is a high place of Ethiopian Christianity, still today a place of pilgrimage and devotion. 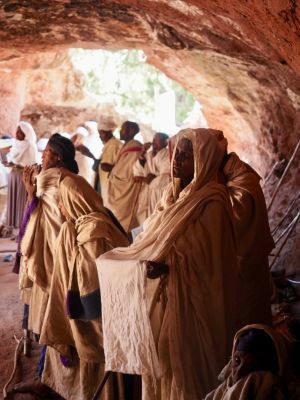 Morning light seeps into a cave of pastel-red rock to silhouette the white linens of chanting worshipers. 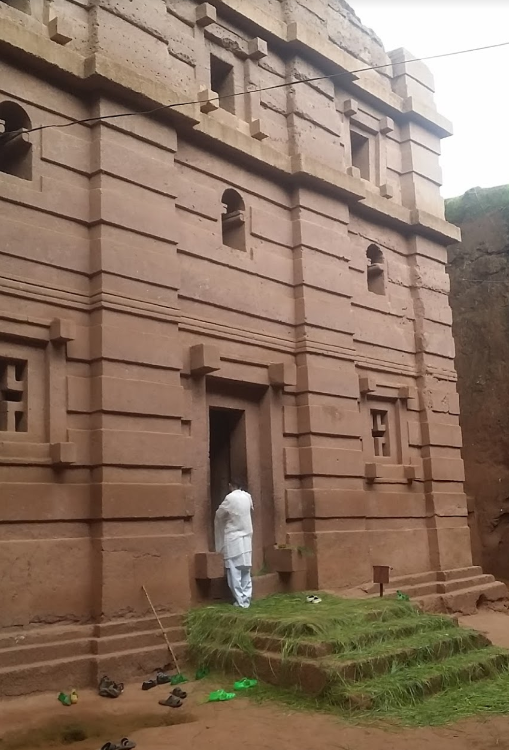 It’s an everyday scene in Lalibela, home to the rock-hewn Ethiopian Orthodox churches only found here, but to a visitor, it can feel like a scene from another era: Priests read from prayer books made of animal hide and devotees rattle sistrums that punctuate ancient chants. 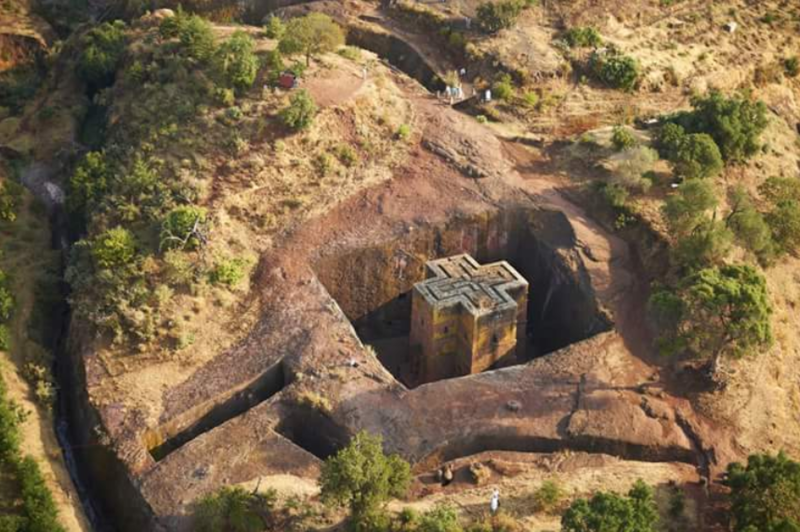 Just as the particulars of the masses held here have hardly changed from generation to generation, the eleven intertwined churches stand today largely unaltered from when they were first carved out of volcanic rock some 900 years ago. On first viewing, it’s the architecture of the place that grabs you; the way these dark pink rock-hewn churches sink invisibly below the ground, interconnected only by narrow tunnels. 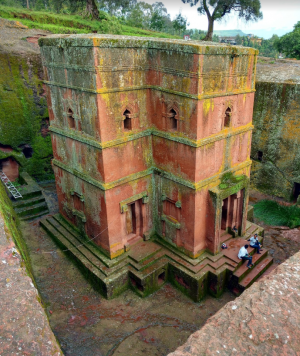 Small arched doors of the intricately painted ceilings, in which recognizable murals of the Madonna and Child are joined by a wandering lion or a dry Acacia tree. Carved from the top down out of a single rock, Lalibela’s cave churches are connected by a maze of light-speckled, ceremonial passages. For many Ethiopian Orthodox Christians believes the structures were built with the blessings of angels. 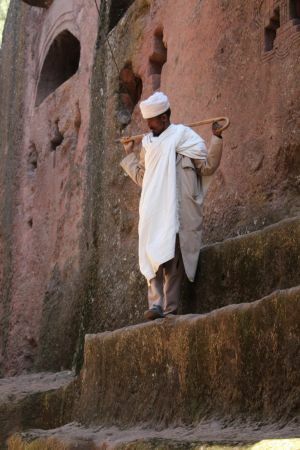 It’s a tale passed on for nine centuries claiming that men would work through the day, but the hands of angels would get twice as much done by night. 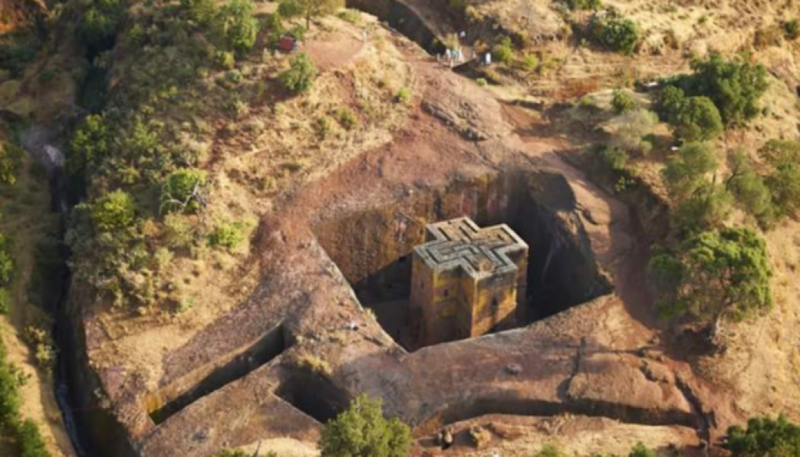 As the legend would also have it, those same angels summoned King Lalibela to build a ‘New Jerusalem’ after Muslim occupation deterred Christian pilgrimages to the Holy Land in the 12th century CE. Since then, and continuing today, streams of Ethiopian Orthodox pilgrims have flowed in and out of the narrow crevices, believing that the churches here grant them the same blessing as pilgrims to Jerusalem. It remains arguably the most important site in the Ethiopian Orthodox Church. Every church is extraordinary in its own way, but the best known is the Church of St. George, which is in the shape of a Greek Orthodox cross. 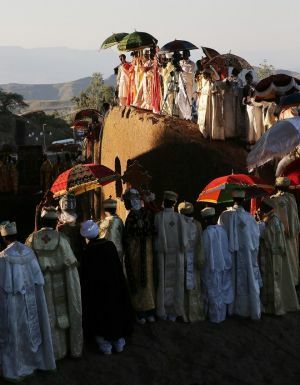 We perched under a thorn tree and watched white-robed pilgrims drift around the four columns for hours. The entire ambiance of Lalibela felt intoxicating, at the entrance to the churches and watching the rituals of the priests as they polished their crosses and blessed the arriving pilgrims. 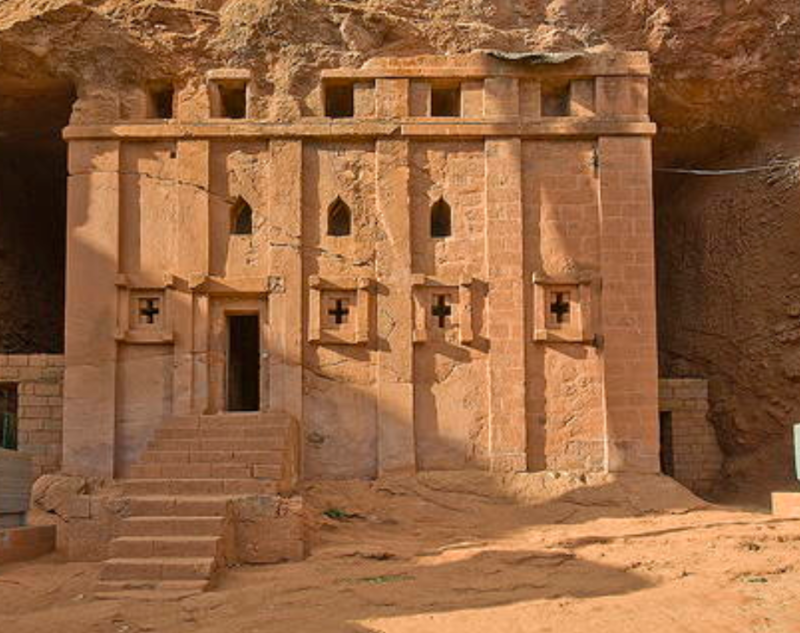 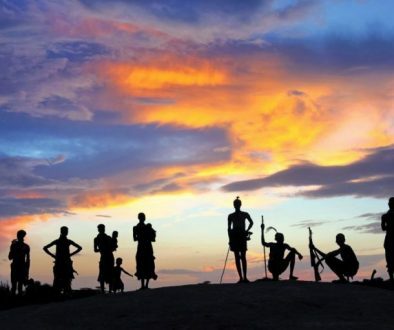 In the eastern set of churches, A group of young Ethiopians found us there and took. unlike many that can seem manicured for tourists and no-flash photography, Lalibela’s are living heritage. 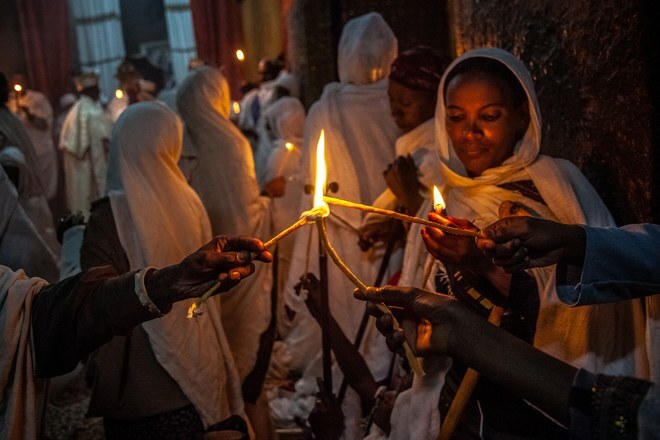 Seven times a day, seven days a week, followers still gather here to chant prayers in unison. It’s hard not to be humbled by the daily crowds’ unwavering devotion to their faith. This is Bete Giyorgis, the most celebrated of all Lalibela’s houses of worship, for its distinct Greek cross cutout. 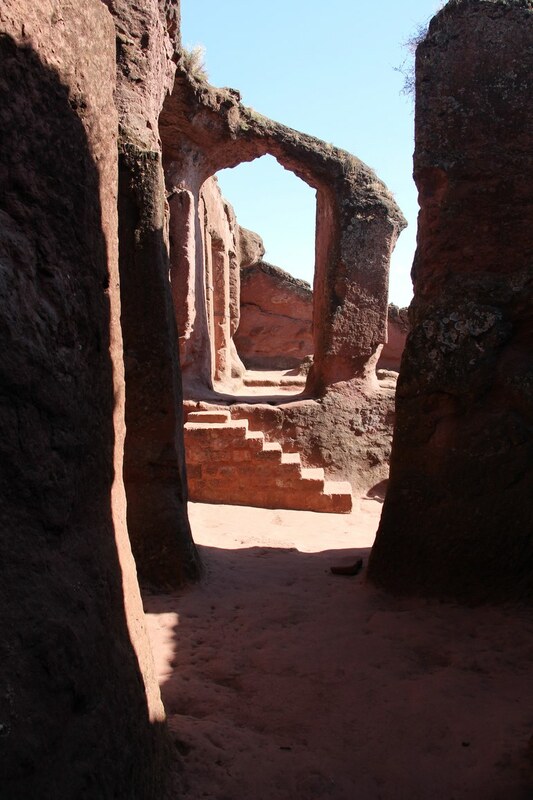 Circling the edges of the volcanic-tuff structure, each angle and shadow reveals new details. 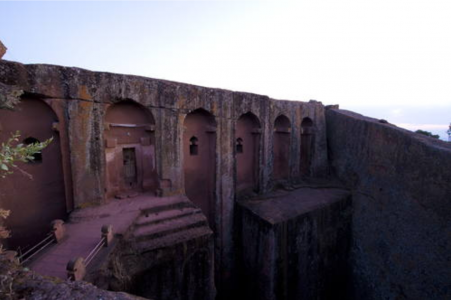 Its facade—now a blend of rusted pinks, burnt yellows, and scattered lines of orange and blue—plunges 40 feet into the man-made ravine. 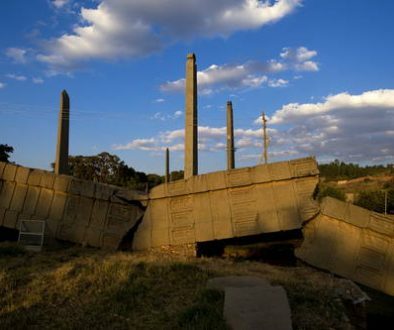 Centuries of harsh sunshine and seasonal winds have only added to its beauty.